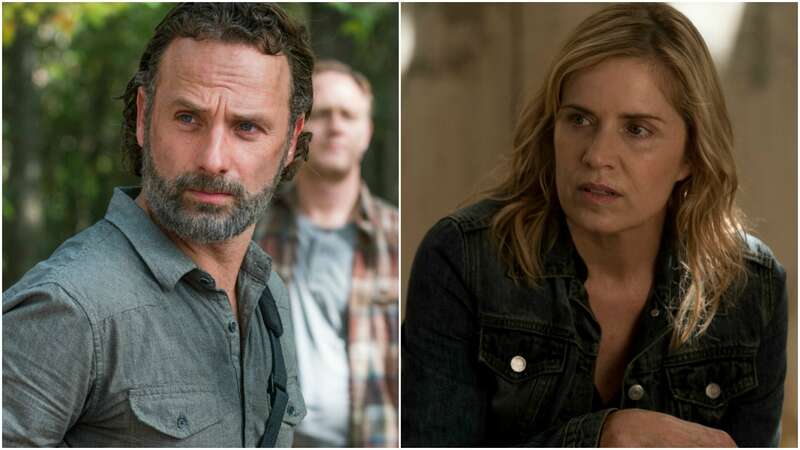 After much speculation and plenty of rumors over the years, one thing we’ve all wondered about is finally happening: The Walking Dead and Fear the Walking Dead will soon feature a crossover during which a character makes the jump from one series to the other. This is not a drill — we repeat, this is not a drill. You probably want to know how such a crossover is possible, considering FTWD serves as a sort of prequel to TWD and neither show can bend the space-time continuum (that we know of). And while we wish we could explain it, the specifics haven’t come into focus that much yet. Before going silent on the subject, Kirkman promised “more news coming in the following months.” In the meantime, you can tune in to the last few episodes of FTWD Season 3 (the finale is on Oct. 15). And mark your calendar, of course, for the return of TWD on Oct. 22.